A bridal makeup trial is suggested for brides in advance of their wedding, to ensure the highest level of confidence when approaching their special day. The purpose of the consult is to have a trial run of your makeup done, and to work out all of the details regarding makeup for your wedding. Feel free to bring pictures or examples of the type of look you would like. Katie will take notes to make sure the look you have chosen will be created the same for your wedding day. Katie will arrive on location (with time to spare!) on the morning of your wedding. Prom, graduation, engagement, family, corporate photos, or just a night out on the town! What ever the occasion, Katie will arrive on-location to beautify you for your special event! Maybe you're wanting a fresh look, or needing tips to improve your daily makeup and skincare routine. You might be wanting a more professional image for your career or want to know which colours best suit you. A makeup lesson from Katie is hands-on, covering makeup tips and techniques that will have you applying simple yet beautiful makeup every day. Please contact Katie directly for quotes and pricing information. 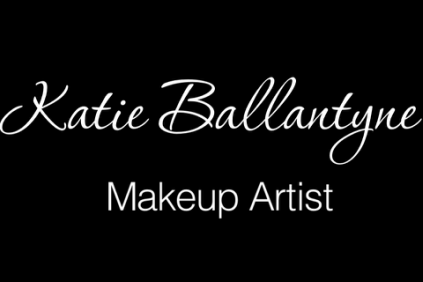 Katie uses only professional products for all makeup applications and clients can be fully assured that all makeup brushes and products are thoroughly cleaned and sanitized prior to use. (New disposable mascara wands are used for every client). Katie practices by the highest sanitary standards.